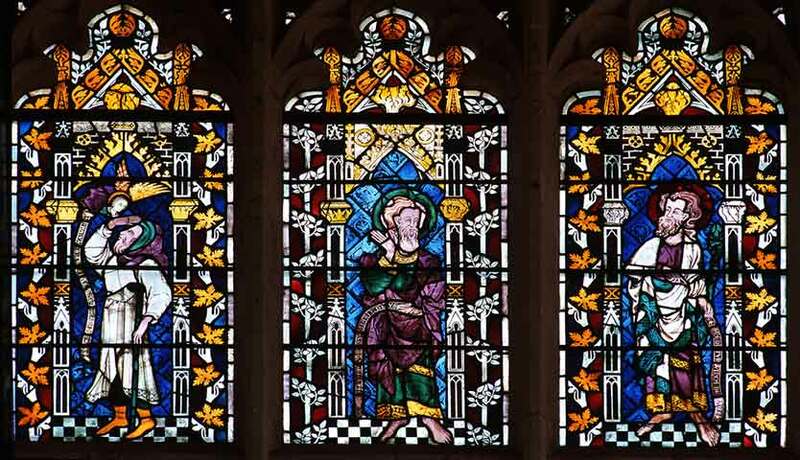 Abraham, Moses and Isaiah, in the clerestory (row of high windows) of Exeter Cathedral, England. 521 people in our community are currently praying with you. 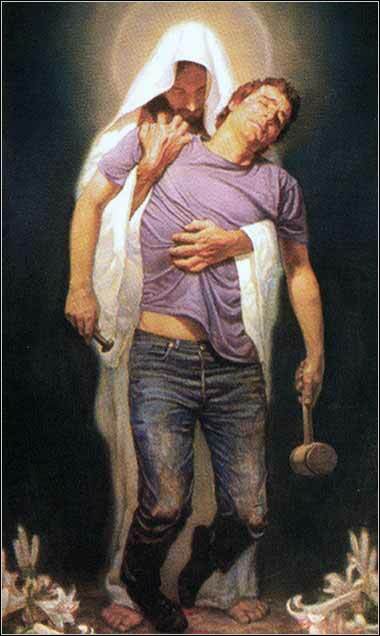 Come unto me all ye who labor. how long shall my glory be turned into dishonor? On it you shall not do any work, you, or your son, or your daughter, your male servant, or your female servant, or your livestock, or the sojourner who is within your gates. Observe the Sabbath day, to keep it holy, as the Lord your God commanded you. Six days you shall labor and do all your work, but the seventh day is a Sabbath to the Lord your God. On it you shall not do any work, you or your son or your daughter or your male servant or your female servant, or your ox or your donkey or any of your livestock, or the sojourner who is within your gates, that your male servant and your female servant may rest as well as you. We are going to take a tangent for a week or two, trying to understand the part of Exodus we have just read, particularly the Ten Commandments. The Bible is a difficult book to read. People who innocently try to sit down and read it as they would read a modern book find it frustrating and, ultimately, impossible. They misunderstand it. It is not a novel or a contemporary history or text, edited into a reader-friendly narrative flow in vernacular modern English. It is a text 2000 to 3000 years old, written in ancient Greek or, even worse, ancient Hebrew, often under primitive conditions. We must expect difficulties; we must expect a need to study and learn. The case in point is the Ten Commandments, which are more difficult to understand than we are led to believe. They are presented no less than four times in the Pentateuch: Exodus 20:1-17, which we have just read; Exodus 34:10-28; Leviticus 19:1-16; and Deuteronomy 5:4-21. None of these four is identical, although they overlap. The Exodus 20 version is the one popularly called the "Ten Commandments" and posted on courthouse walls (at least for the time being). We do not mean to diminish them in any way, for they represent the Word of God and, unlike much of the Law of Moses, they seem immediately understandable to the modern reader. But this popular version of the "Ten Commandments" is incomplete, simplistic, and taken out of context. To get us started, when we look at the two accounts of the Ten Commandments most nearly identical — Exodus 20 and Deuteronomy 5, written out in today's Scripture — we see another and less harsh dimension to the Sixth Commandment. Although the actual law is identical, the rationale given in Deuteronomy is different. In Exodus 20, it tells us we must rest on the seventh day because God did so when He created earth; but in Exodus 34, the stated rationale is that the listeners had been slaves. It is more humane and less sternly legalistic. We take a day of rest, and give others a day of rest, because we know what it is like to be driven to work like a farm animal. The Hebrews had been actual slaves; we, who have not experienced slavery ourselves, must use our sense of empathy, our love for others and ourselves, to realize that it is wrong to inflict a life of unremitting toil upon anyone. As a practical example in modern life, think of fast food restaurants or grocery stores, most of which are now open on Sunday. The people working in these establishments are the modern-day equivalent of our servants. They work cooking our food and serving us our meal. Should a Christian patronize such establishments on Sunday? We must search our hearts and pray for an answer, for there are powerful reasons not to do so. God's stated law is that the Hebrews not make even a donkey work on the Sabbath. Yes, one might spin out elaborate arguments on the subject, but the bottom line is a law given by God: keep one day in seven holy. Do not work and do not suffer others to work for you.